Tired of a normal, boring, old cheesecake? 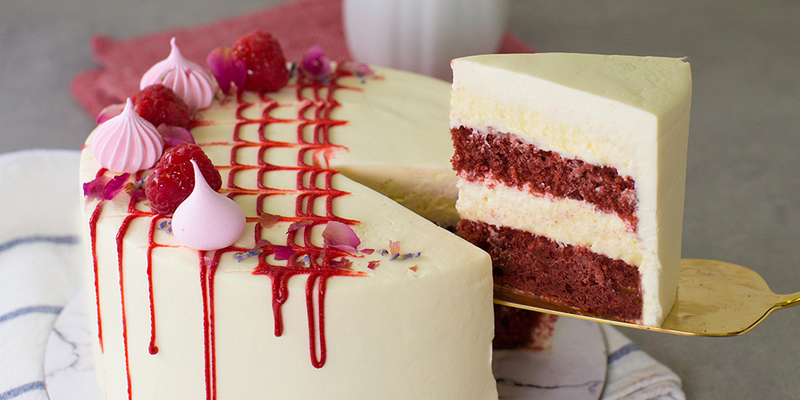 Up your cheesecake skills with us, as we re-create the famous red velvet cheesecake! Inside this intricate cake lies 3 different textures: a moist and tender red velvet sponge cake, a creamy cheesecake insert, and a light mascarpone cheese frosting. Learn how to stack these layers evenly and finish your cake off with an intricate and rustic design!